and excellence in all we do. Local, Licensed & Affordable Fort Worth Plumbers & Heating / Air Conditioning Contractors. interactions. We are confident that your experience with Hawk will be a positive one. A+ rating for almost 30 years. Local & Licensed Plumbing Heating & Air Conditioning Specialists in Fort Worth. 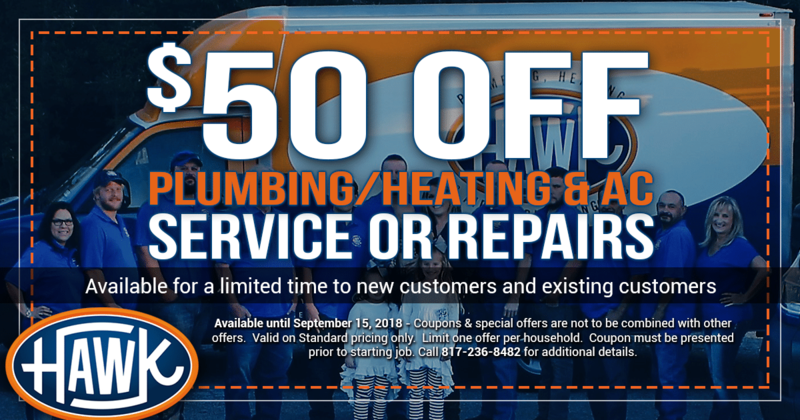 Welcome to Hawk Plumbing, Heating and Air Conditioning, Inc. We are a full-service family owned and operated company providing professional service to both commercial and residential customers. Backed with over 40 years of experience, We have a team of dedicated and licensed technicians ready to meet all of your needs; whether large or small. What Hawk offers as a company that sets us aside from the rest? 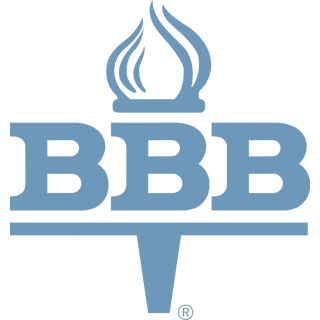 We are a BBB member and have maintained an A+ rating for over almost 30 years. We prioritize emergencies, have a fast response and strive with team work. We are a company you can rely on. We stand behind our products and our work. Our team of local & licensed plumbers are dedicated to helping you with all of your residential plumbing service and repair needs. From water heaters to drain cleaning you can count on Hawk Plumbing in Fort Worth. Keeping your business safe and functioning includes making sure any commercial plumbing repairs that take place are done within state codes, by licensed plumbers. Call Hawk for licensed & experienced services. When a plumbing emergency happens you need a team who is experienced with your plumbing system. Hawk Plumbing has some of the most experienced and dedicated plumbers in Fort Worth. At Hawk PHAC we understand the need for experienced & highly trained plumbers in Fort Worth and surrounding Texas communities. Check out all of our services. We are here to help you! When you are experiencing HVAC needs in your home in Fort Worth or surrounding TX areas, you can count on Hawk PHAC to get your home systems working for you. Commercial problems are never something any business owner wants to experience. At Hawk, we understand and are here to ensure your business gets back to normal. Emergencies happen. When they do you, can count on the local & licensed experts at Hawk. We are available to help our customers anytime the situation arises. At Hawk PHAC we understand the need for experienced & highly trained plumbers in Fort Worth and surrounding Texas communities.